Sc. N/A Jackie Robinson Centennial — Not a first-day. Sc. 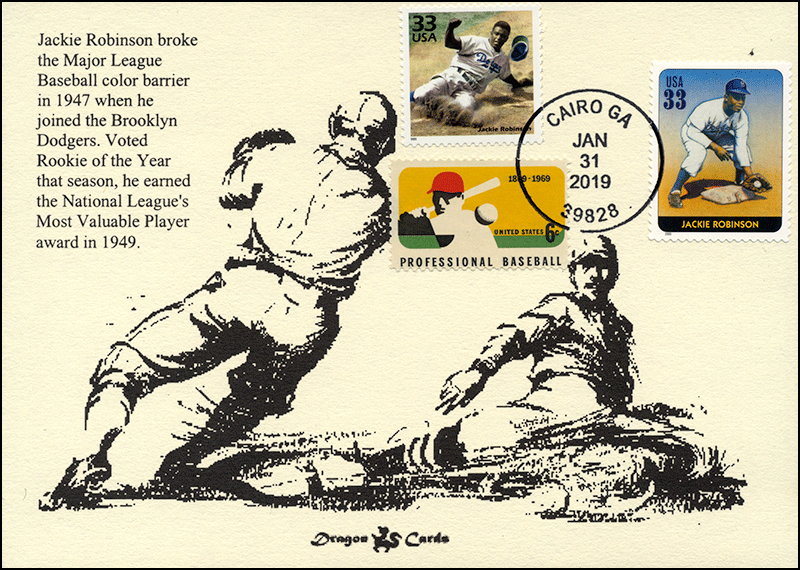 3186c Jackie Robinson (Celebrate the Century), 1381 Professional Baseball and 3408a Jackie Robinson (Legends of Baseball) on a leftover 5"x7" Dragon Card for the 1940s JR stamp. The special January 31, 2019, Cairo GA postmark notes the centennial of his birth. Great for a baseball-, Black History- or civil rights-on-stamps collection!